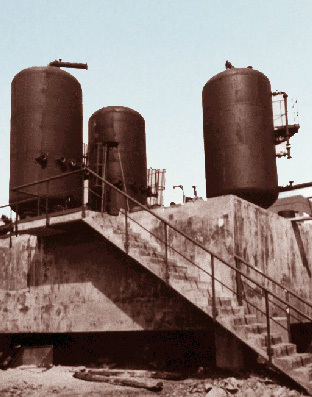 The ISO 9000 standards were the result of actions and needs for industrial processes during World War II. When the war was over, concepts such as inspection and control were established. Production and products were being consistently controlled. By then, the word “quality” was associated with “conformity”, i.e. control and command of production. By the end of the 50s, the approach that used inspection processes to ensure quality continued developing in theUSAquality requirements procedures and specifically “Quality Program Requirements” MIL-Q-9858 applicable to military industry. Afterwards, NASA promoted the evolution of the concept of Inspection to systems and processes to guarantee quality. The procedures destined to guarantee quality continued their processes in the most critical industries such as energy generation, aeronautics and nuclear, until 1987 that the Guide for Quality Assurance in Great Britain BS 5750, turns into ISO 9000 standard under the support of the International Standards Organization, entity that promotes standards for products and services. Throughout the years, Quality Management through ISO 9000 spread from its original application in critical industrial processes to all kinds of companies including those that generate intellectual products such as Legal Firms; it goes from fast food companies to the ones we are going to analyze in these lines: construction companies. Let’s see the difference between the industrial processes the standard was originally design for, and the processes of the industry we are dealing with. In an industrial process, production resources are well defined and with a marked permanence in time. We could simplify this by saying that in an industry, machines and workers operating them are quasi-stable resources in the production process. Their modification is slow and it’s conditioned by technological improvement. The products generated in this industry by the use of those machines, are well defined and last in time. Production means and products elaborated remain in time. As a result, the production procedures are developed at the beginning of the production process and remain the same throughout the process being altered only by modifications due to equipment technological improvement and continuous improvement processes resulting from the application of ISO 9001 standard. Through the application of the norm productive process flaws are capitalized in pursuit of continuous product improvement. In the case of construction industry these conditions of process and resources stability that make relatively simple the application of the conditions established in the standard, are not verified. This turns the correct application of the norms exceedingly difficult. The product generated by the construction industry is always changing. Indeed, every work fulfilled – a building, a power plant, a transmission line, a dam – is different and has its own singularities. The professionals and technicians employed in these constructions change due to the fact that the companies develop works with different characteristics. Moreover, even though when the staff is the same, the professionals have neither the same level of competence nor a thorough knowledge of the procedures to complete. In many cases, works are done between professionals coming form the companies and their subcontractors who should work as a real team with the implied information and qualifications. Even though a new construction is done with the same characteristics that the one before, construction teams are not usually the same. Execution and control procedures differ from work to work. Even though construction assignments have specific realization procedures, the technical contract specifications are different. Finally, quality management systems do not exist or barely exist in non-certified companies or consortiums and Joint Ventures of certified companies in which each company has their own management procedures. So, the question is: How can we apply an established standard for permanent and qualified human resources, stable production means, defined procedures and always alike final products to an activity where everything changes? ISO 9001 standard has chapters related to the general organization of the company and one chapter aimed specifically to the production process. The chapters on general organization refer to the company’s indirect operations, i.e. those processes that are not specifically developed for any work. This is the case of Human Resources, Purchases, Equipments, accounts departments among others. But there is a department, the production one, which is regulated in chapter 7 of the standard and refers to planning, production and product control processes. After having applied the concepts of quality management to many important public and private works inArgentina, we can state that the inconvenients mentioned above caused poor instrumentation of chapter 7 of the ISO 9001 Standard by most of the building companies inArgentina, including many of the big ones. Now, how can we approach this matter? I asked myself that question when YPF invited our company to bid for the Quality Management Audit for YPF’sCorporateBuildingin Puerto Madero. Supplies and processes should be effectively controlled by the ones producing them. This is the basic principle to achieve good results. We have two participants in the productive process, the Contractor and the Work Inspector. 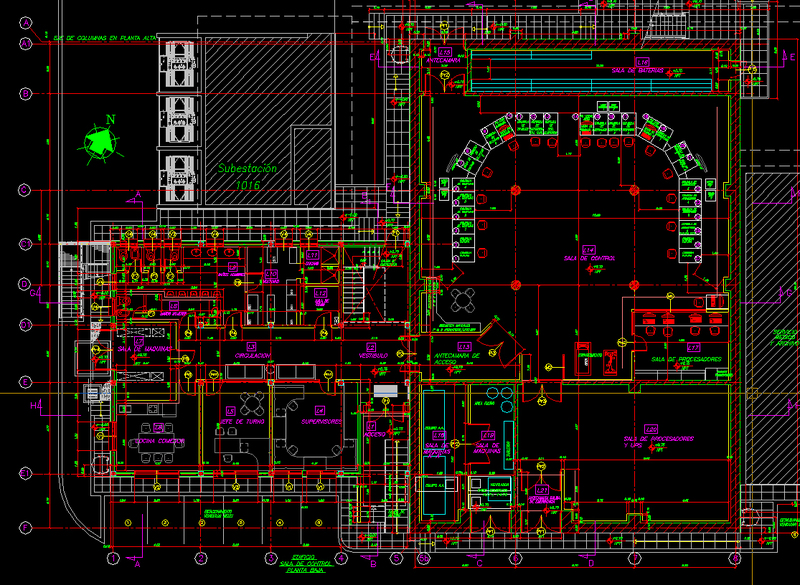 When I say Contractor I refer to the one that produces something. A good contractor is the one who knows how to do the job. When we perform activities of direction, inspection and contract management it’s a relief to audit a good contactor. If the contractor doesn’t do its job with a proper control system, it doesn’t matter how good the inspection is; the work won’t turn out fine. Control activities will not necessarily increase the cost of the work. Contractors know how to their jobs and have all the experience. Sometimes they just need to follow certain organized steps within a structured management system to achieve quality. This is why, before the work begins -no matter the level of certification the company has- as directors, managers or work inspectors, we have to verify the quality management systems employed by the contractors and if they are not consistent, which the case most of the time, we should lead the contractor to implement a suitable quality management system. We never try to substitute the contractor’s shortcomings with an intensive inspection work. On the contrary, we believe that they are the experts on “doing” and that they were the ones qualified to carry out that work. That’s why we should help them to provide a self-controlled service through the application of a quality management system under the guidelines of the Standard. After that, as inspectors and auditors, we audit the management system verifying that the contractor is taking evidences of the systematic control done and we inspect by sampling the resulting products under those controlled procedures. In the case of YPF’s corporate building we were only in charge of auditing the quality management system. The subcontractors in this project are some of the most important companies in the Argentinean market. Some of them had an ISO 9001 certification and some hadn’t. But all of them had to be induced to complete or implement from scratch a quality management system. The result was that once consolidated the use of the management system, some companies remained using it as internal procedures and others got certified ISO 9001 with that same foundation. Buildings such as YPF’s corporate building present great complexity. Architecture, structure and facilities have characteristics and dimensions that are not what an average professional is used to find in common buildings. For example, the cool water collectors for the air conditioner system are steel pipes ASTM A53 Gr B of 12’’ similar to the ones used in distilleries. All the supplies used in the building’s construction are of unusual amount: wires, connectors, lamps, lights, and the like. So, how can we make an efficient control of all these supplies and processes involved?? Quality’s purpose is to create a product that, as times goes by, can be operated and maintained within design conditions and that provides safety to goods and guarantees health to the users. Our criteria was to divide products and processes in different degrees of criticality, giving a greater level of control to those that affect people’s health and building safety. These supplies were qualified as critical. Within this category the supplies included are high power isolating switches, fire sprinklers, among others and the processes included are, for example functioning test for elevators as trials for emergencies. The requirement for supplies traceability in the ISO 9001 standard is left to the Customer’s request. 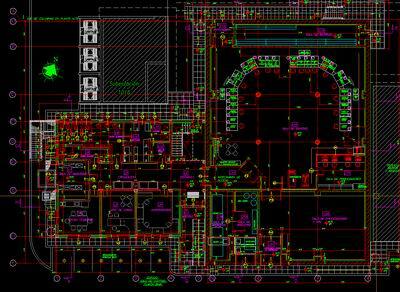 Tracing a supply is to identify its exact typology, manufacturing lot and exact location in the construction work. In order to ensure the safety of the building and its users’ helath the management system established supply traceability as a requirement for critical supplies. As we’ve said before, the standard establishes management conditions for every sector within the company: Purchases, Human Resources, Warehouse, Planning, Production, etc. The Quality Supervisor of the building company is in charge of the proved control procedures established for all these stages. When we talk about “proved” it means that the controls done are registered in forms that might be audited by others, whether they be in paper or in digital form. Let’s make a brief summary about the stages of the quality management system. The basic idea of this kind of control is to establish procedures to ensure that the blueprints or documents used in the construction works correspond effectively with the last version approved. It seems obvious. However, the complication is considerable in big works. The parties involved are many: Client, Work Direction, Managers, Construction Company, Subcontractors, Engineering Departments, Purchases, and the like. Clear procedures of what can the Contractor do with the various possible reports of a document, to ensure that the construction is done with those documents validated for such purpose. If there is a modification in any of the blueprints for construction, there is a procedure that assures that the copies distributed among all the sectors are properly replaced. This also includes the equipment tested in factory through protocols such as boards and cells. They have to be manufactured and tested according to the latest engineering version. In terms of boards, this is a rare case since they receive new loads as the work progresses. It seems simple but it is not for complex works. Approval requirements must be established for each supply. Each supply must fulfill certain requirements such as resistance requirements, anticorrosive protection, linearity, thickness, material quality, dielectric insulation, etc. to be suitable for its incorporation to the building work. Definition of product, procedures of prototype test, shipment test, packing conditions and documentation for dispatch to work. Procedures of reception including proved verification of all requirements, storage conditions, segregation or quarantine in case of non conformities, recording of lots for traceable supplies and internal dispatch procedures. In this case the procedures employed in construction and assembling of supplies are described. This procedure implies to specify the contractual conditions to the Contractor’s methods and equipment. It also implies to establish proved self-control records that allow the supervisors, who are in charge of going through the construction or assembling, to note or register the control results. In fact, this control is always done by the companies in charge of the work. So this is simply about the implementation of a control record to be systematically completed in the moment of realization, which in practice, turns out to be a marginal cost. Precommissioning defines the pre-operation test of every part of the installation. For example, the verification of a pump set in motion in normal operation conditions. Usually, this operation is done by the manufacturer. However, the fact that the item can be set in motion and that it functions correctly doesn’t mean that it was verified to meet the target for which it was designed. Commissioning defines the set in motion of the installation, i.e. the verification of the design conditions of the item. This type of verification is usually done in big engineering works such as dams, transmission lines, industrial and oil related works but, as far as I know, there is no precedent of its application in big buildings. In many of our supervised works, the systematic application of these procedures lead us to discover, for example, that the level of real lighting verified doesn’t correspond to the one in the design, or that the flow of air of a VAV box was not the corresponding one, or that the engines of the anti-smoke blinds didn’t work because they were wrongly polarized affecting not only the performance of the entire air conditioning system but also the building’s safety. In YPF’sCorporateBuilding, all these proved tests were done through pre-operation and set in motion protocols. These protocols were designed as any other engineering document and contained, among other details, the expected conditions of the equipment or facility and all the verified conditions from the tests. Once the work and the management process are over, all the documents that provide evidence of it are ordered into labeled volumes, in paper or in digital form. This invaluable information is left to be used in subsequent operation and maintenance tasks during the building’s lifetime. This information includes records of traceability concerning critical elements so that, in case of failure, the building’s operations manager can locate them and those belonging to the same manufacturing lot. When YPF invited our company to quote for this service, we had the opportunity to compete with quality certifier companies. What made them decide for us was the methodology proposed to solve the problem related to the building’s quality management. This methodology is the one described in this article. So, what’s the difference between a quality certifier company and an engineering consultant company when it comes to focusing on quality problems? I can answer this question knowingly since I’m a consulting engineer and I’m trained as IRCA-ISO 9001 auditor. The quality certifiers are trained to verify if every management procedure of the auditing company suits the guidelines indicated in the Standard’s latest review. That is to say, they audit processes, not products. Deceptively you can see in the boxes of pharmaceutical products a seal of conformity to the ISO 9001 Standard. However, when a search in detail is done, it can be realized that the seal related to the “process” used to manufacture the carton box. In the best scenario what is certified is the production process of the drug but never the drug’s qualities. When we -the consulting engineers- face quality audits on construction works, we must apply the concepts of the ISO 9001 Standard to achieve a final product that responds to the conditions for which it was designed, prioritizing and balancing design, safety, construction and operative matters as well as possibilities of fulfillment. That engineering criteria is what separates and differentiates us from them, the quality certifiers. During the last 20 years, several certifier companies have settled down in our country in order to develop a market of quality management systems certification for companies. First they dedicated to the automotive industries, then to the industrial companies that supply automotive companies, after that they went for industrial companies in general, then service companies, banks, insurance companies and finally construction ones. When an ISO 9001 certificate is granted to a company, it means that all the procedures that the company uses to manage quality are within the guidelines given by the standard. It doesn’t mention anything about the functional aptitudes of the products or services generated by those companies. Lately, several private and fundamentally public clients, blinded by the word quality but little informed of the function of quality certification companies, entrusted these companies with control assignments of engineering works, assignments specifically related to work management which is an undeniable responsibility of engineers. In fact, the two latest power plants in construction were trusted to international certifier companies for which quality is only one part of work direction. Direction and management of an engineering work or even an architectural work of the magnitude of YPF’sCorporateBuilding, is a non-delegable responsibility of engineers and engineer consulting companies. But, due to the development of control and management techniques, directing a complex work without education concerning project management, costs and work standards, quality management systems auditing, environmental auditing, safety and sustainability auditing is not possible today. In view of the advancement of certification companies over the engineering market, thoughtful, coordinated and effective actions are imposed to defend our market. Moreover, universities should take actions such as fixing the new engineers’ curricula to properly prepare them in direction and inspection of works and in particular the new paradigm of quality in construction. La serie de normativas internacionales ISO 9000 fue la resultante de acciones y necesidad de los procesos industriales durante la II Guerra Mundial. El resultado fue que pasada esta guerra, se habían instaurado en la industria los conceptos de inspecciones y controles en busca de procesos de producción y productos consistentemente controlados. Para ese entonces la palabra “calidad” se asociaba a “conformidad”, es decir al control y el comando de la producción. A finales de la década del 50 continúa el enfoque de procesos de inspección para asegurar la calidad, desarrollando en USA procedimientos de requerimientos de calidad y específicamente “Quality Program Requirements” MIL-Q-9858 aplicable a la industria bélico/militar. Posteriormente la NASA promueve la evolución del concepto de inspección a sistemas y procesos para asegurar la calidad. Los procedimientos destinados asegurar la calidad continuaron su proceso por las industrias más críticas, tales como las de generación de energía, aeronáutica y nuclear, hasta que en 1979 la Guía para Aseguramiento de Calidad en Gran Bretaña BS 5750, en 1987 se convierte en la Norma ISO 9000 bajo el respaldo de la Organización Internacional para la Normalización, entidad esta última que promueve estándares para productos y servicios. A lo largo de estos años, la gestión de la calidad a través de la norma ISO 9000, se fue extendiendo desde su originaria aplicación a procesos industriales críticos hasta ser aplicada en la actualidad a todo tipo de empresas incluidas aquellas que generan productos intelectuales tales como estudios de abogados, pasando por empresas de comidas rápidas hasta llegar al caso que analizaremos en estas líneas, las empresas dedicadas a la construcción. Veamos las diferencias entre los procesos industriales para los que fue diseñada la norma originalmente y la industria que nos ocupa. En un proceso industrial, los recursos de producción son bien definidos y con una marcada permanencia en el tiempo. Podríamos simplificar esto, diciendo que en una industria, las maquinarias y los operarios capacitados para operarlas son recursos cuasi estables en el proceso de producción. Su modificación es lenta y está condicionada al avance tecnológico. Los productos que genera esa industria como resultado del empleo de esa maquinaria, están bien definidos y perduran en el tiempo. Como resultado de la permanencia en el tiempo de los medios de producción y del producto a elaborar, los procedimientos de producción se desarrollan al comienzo del proceso productivo y se mantienen en el tiempo, solamente alterados por las modificaciones debidas a la renovación tecnológica de equipamiento y a los procesos de mejora continua, producto de la aplicación de la propia norma ISO 9001, mediante la cual se capitalizan las fallas del proceso productivo en pos de una mejora continua del producto. En el caso de la industria de la construcción que nos ocupa, estas condiciones de estabilidad de los procesos y de los recursos, que hace relativamente sencilla la aplicación de las condiciones establecidas en la norma, no se verifican, con lo cual la correcta aplicación se hace sumamente dificultosa. El producto que genera la industria de la construcción es siempre cambiante. En efecto, cada obra que se realiza, un edificio, una central de generación, una línea de transmisión, una represa, es diferente y tiene sus propias particularidades. Los profesionales y técnicos que se emplean en esa construcción, cambian debido a que las empresas tienen obras de características diferentes. A su vez, aún siendo los mismos, los integrantes de los planteles profesionales de las empresas no tienen un grado de informatización uniforme ni un conocimiento acabado de los procedimientos a emplear. En muchos casos, las obras se realizan con una amalgama de profesionales provenientes de las empresas y de sus subcontratistas que deberían funcionar como un verdadero equipo, con la capacitación e información que ello implica. Los equipos de construcción no suelen ser los mismos, aún cuando se vuelva a realizar una obra de la misma tipología. Los procedimientos de ejecución y control difieren de obra a obra, porque aún cuando una tarea de construcción tiene una forma de realización determinada, las especificaciones técnicas de contratación difieren. Finalmente los sistemas de gestión de calidad, no existen o existen incipientemente para empresas no certificadas o bien en consorcios o UTEs de empresas certificadas, cada asociada tiene un procedimientos de gestión diferente. En definitiva, la pregunta es ¿cómo aplicar una norma establecida para recursos humanos permanentes y capacitados, medios de producción estables, procedimientos definidos y productos finales siempre iguales, a una actividad donde todo cambia? La Norma ISO 9001, tiene capítulos relacionados a la organización general de la empresa y un capítulo específico dedicado al proceso de producción. Los capítulos de organización general se refieren a la operatoria indirecta de la empresa, es decir a aquella que no se desarrolla específicamente para ninguna obra. Este es el caso de los sectores de recursos humanos, compras, parques de maquinarias, contaduría, etc..
Pero hay un sector, el de producción, que es el que está normado por el Capítulo 7 de la Norma, que se refiere a los procesos de planificación, producción y control del producto. Después de haber aplicado los conceptos de gestión de calidad a múltiples de las principales obras públicas y privadas de la Argentina, podemos afirmar que los inconvenientes antes mencionados hacen que no se encuentre debidamente instrumentado el Capítulo 7 de la Norma ISO 9001 en la mayoría de las empresas constructoras de la Argentina, incluidas muchas de las grandes empresas de nuestro país. Ahora bien, cómo abordar este tema. Me hice esa pregunta en el momento en que YPF invitó a nuestra consultora a ofertar la Auditoría de Gestión de Calidad de las Instalaciones de su Edificio Corporativo en Puerto Madero. El principio de acción básico para lograr el buen resultado de un producto es que los suministros y los procesos sean controlados efectivamente por quien los produce. Simplificando el tema, aquí tenemos dos actores del proceso productivo, el Contratista y el Inspector de Obra. Cuando digo quien lo produce, me refiero al Contratista. Quienes realizamos direcciones, inspecciones y gerenciamientos de contratos, sabemos del alivio que nos provoca controlar a un buen contratista, es decir a aquel que sabe hacer bien su trabajo. Por mejor inspección que se realice, una obra no saldrá bien si el contratista no realiza su trabajo con un sistema de control adecuado. No es cierto que realizar las tareas de control evidenciado de obra resulte en un aumento del costo de la misma. Los contratistas saben realizar sus trabajos, tienen toda la experiencia. En la mayoría de los casos les hace falta solamente seguir ciertos pasos ordenados encaminados dentro de un sistema de gestión estructurado para alcanzar la calidad. Por tanto, antes de iniciar los trabajos e independientemente del nivel de certificación de calidad que tenga la empresa a supervisar, la filosofía adecuada de trabajo como directores, gerenciadores o inspectores de obra es verificar los sistemas de gestión de calidad de los contratistas y si los mismos no son consistentes, lo cual ocurre en la mayoría de nuestras obras, inducir al contratista a implementar un sistema de gestión de calidad adecuado. Nunca tratamos de sustituir las falencias de los contratistas con una intensiva tarea de inspección. Por el contrario, creemos que los expertos en realizar obras son ellos, y fueron ellos quienes fueron calificados por sus merecimientos para ejecutar esa obra. Por tanto, es pertinente ayudarlos a que ellos presten un servicio autocontrolado mediante la aplicación de un sistema de gestión de calidad evidenciado bajo los lineamientos de la Norma. Luego, nosotros como auditores e inspectores, auditamos el sistema de gestión verificando que el Contratista sigue llevando las evidencias del control sistemático realizado e inspeccionamos por muestreo los productos derivados de esos procedimientos controlados. En nuestro caso del Edificio Corporativo, solamente cumplimos las tareas de auditores de los sistemas de gestión de calidad. Quienes trabajaron como subcontratistas de las distintas especialidades son empresas que se encuentran entre las más importantes del mercado argentino. Algunas con certificación ISO 9001 y otra sin misma. A todas las empresas sin excepción, se las debió inducir a completar o a implementar casi de cero un sistema de gestión de calidad evidenciado. El resultado fue, que una vez afianzados en el uso del sistema de gestión, lo siguieron empleando como procedimientos internos de trabajo y otros certificaron ISO 9001 con esa misma base. Edificios de las características del Corporativo de YPF tienen una gran complejidad. Tanto la arquitectura, la estructura y las instalaciones tienen características y dimensiones que escapan al común de los edificios a que está acostumbrado el profesional medio. Por dar un ejemplo, los colectores de agua enfriada del sistema de aire acondicionado son cañerías de acero ASTM A53 Gr B de 12” similares a las que se usan en refinerías. Los suministros que intervienen en toda la construcción son de una cantidad inusitada. Cables, conectores, lámparas, luminarias, etc. etc. etc. .
Entonces, cómo realizar un control eficiente de todos estos suministros y de todos los procesos involucrados?? El objetivo de la calidad es lograr un producto, nuestra obra, que permita en un futuro ser operada y mantenida dentro de las condiciones de diseño, y brinde seguridad a los bienes garantizando salud a las personas usuarias. Fue nuestro criterio, en este servicio segmentar los productos y procesos en distintos grados de criticidad, dando mayor nivel de control a aquellos que afectaran a la salud de las personas y a la seguridad del Edificio. Estos suministros fueron calificados como críticos. Dentro de esta categoría se incluyeron suministros tales como seccionadores de alta potencia, rociadores de agua de incendio, entre muchos otros y entre los procesos se incluyó por ejemplo la prueba de funcionamiento de los ascensores como batería para casos de emergencia. El requerimiento de trazabilidad de los suministros en la Norma ISO 9001 queda a requerimiento del Cliente. Trazar un suministro es identificar la exacta tipología del mismo, su partida de fabricación y la exacta ubicación en la obra del mismo. Prestigiando la seguridad del edifico y la salud de sus usuarios, el sistema de gestión estableció el requerimiento de trazabilidad para los suministros calificados como críticos. Como dijimos, la Norma establece condiciones de gestión para todos los sectores de la empresa. Compras, recursos humanos, almacenes, planificación, producción, etc..
En los casos de aplicación de la Norma a la gestión de calidad de construcción, como es el caso de los consultores e ingenieros, el objetivo fundamental debe ser la focalización de la gestión en nuestra obra. Para todas estas etapas se establecen procedimientos de control evidenciados a cargo del Supervisor de Calidad de la propia empresa constructora. Cuando hablamos de evidenciados, significa que los controles realizados se evidencian en formularios, ya sea en papel o informáticos, que pueden ser auditados por terceros. Vamos a hacer un pequeño resumen sobre cada etapa del sistema de gestión de calidad. La base de este control significa establecer procedimientos para asegurar que los planos u otros documentos que se empleen para realizar la construcción o montaje de las obras, se correspondan efectivamente con la última versión de los documentos aprobados para construcción. Parece obvio. Sin embargo en grandes obras, la complicación es mayúscula. Son muchas las partes intervinientes. Cliente, Dirección de Obra, Gerenciadores, Empresa Constructora, Subcontratistas, Departamentos de Ingeniería, Compras, etc, etc. Procedimientos claros de qué puede hacer el Contratista con los distintos dictámenes posibles de un documento, asegurando que se construya con aquellos válidos para construcción. Procedimientos que aseguren que, en caso de modificaciones de planos aptos para construcción, las copias que se encuentran en manos de múltiples sectores de obra sean reemplazadas adecuadamente. Esto incluye también que los equipos probados en fábrica mediante protocolos como el caso de tableros o celdas, sean fabricados y probados según la última versión de la ingeniería apta. Caso raro en los tableros, los cuales reciben nuevas cargas a medida que avanza la obra. Para cada suministro se deben establecer los requisitos de aprobación. Son requisitos todos aquellos requerimientos de resistencia, protección anticorrosiva, linealidad, espesor, calidad de material, aislación dieléctrica, etc que debe cumplir el suministro que lo hace apto para su incorporación a la obra. Definición de producto, procedimientos de ensayos de prototipo, ensayos de remesas, condiciones de embalaje y documentación de despacho a obra. Procedimiento de recepción incluyendo la verificación de todos los requisitos en forma evidenciada, condición de almacenamiento, de segregación o cuarentena en caso de no conformidades, registración de partidas para suministros trazables y procedimiento de despacho interno. En este caso se trata de describir los procedimientos empleados para realizar la construcción y el montaje de los suministros. Implica ello particularizar las condiciones contractuales a los métodos y equipamiento del Contratista y establecer registros de autocontrol evidenciado que permitan a los supervisores que revisan los trabajos de montaje o construcción, tildar o registrar los resultados del control. De hecho, este control es siempre realizado por las empresas a cargo de la obra. Se trata entonces, solamente, de implementar un registro del control para ser completado sistemáticamente en el momento en que el mismo se realiza, lo cual con práctica, se transforma en un costo marginal. Precommissioning es una palabra inglesa que define la prueba de preoperación de cada parte de la instalación. Por ejemplo la verificación de que una bomba sea puesta en marcha en condiciones de operación normal. Generalmente esta operación la realiza el fabricante. Pero que la misma sea puesta en marcha y funcione correctamente, no significa que se haya verificado que la instalación vaya a cumplir con los objetivos para los cuales fue diseñada. Commissioning define la puesta en marcha de la instalación, es decir la verificación de las condiciones de diseño de la misma. Esta verificación de puesta en marcha, es habitual en las grandes obras de ingeniería en las que hemos participado, tales como presas, líneas de transmisión, obras industriales y petroleras, pero que en mi conocimiento, no ha tenido antecedente de aplicación en grandes edificios. En el caso de muchas de nuestras obras supervisadas, la aplicación de estos procedimientos en forma sistemática, nos llevó a descubrir por ejemplo que el nivel de iluminación real verificado no se correspondía con el de diseño, o que el flujo de aire de una caja VAV no era el que correspondía, o que los motores de las persianas antihumo no funcionaban porque se encontraban erróneamente polarizados, afectando de esta forma no solamente la performance del sistema de aire acondicionado sino la seguridad del edificio. En el Edificio Corporativo de YPF, se realizaron todas estas pruebas en forma evidenciada a través de protocolos de preoperación y puesta en marcha. Estos protocolos fueron diseñados como un documento más de ingeniería y contenían entre muchas otras informaciones, las condiciones esperadas del equipo o de la instalación y todas las condiciones verificadas en el ensayo. Concluida la obra y el proceso de gestión, hay un aspecto final tal es el ordenamiento de todos los documentos que evidencian la gestión de calidad en tomos ordenados y caratulados, ya sea en papel o en soporte magnético, de los que resulta una información inestimable para las posteriores tareas de operación y mantenimiento del edificio por ciclo de vida. Esta información incluye los registros de trazabilidad de los elementos críticos indicando claramente al gerente de operaciones del edificio, en caso de falla, la ubicación del mismo y de aquellos pertenecientes a la misma partida de fabricación. Cuando YPF invitó a nuestra Consultora a cotizar este servicio, tuvimos la oportunidad de competir con empresas certificadoras de calidad. La razón de peso para decidir la contratación, fue la metodología propuesta para resolver el problema planteado con la calidad del Edificio. Esta metodología es la que describí sucintamente en este escrito. Ahora bien, ¿cuál es la diferencia entre una certificadora de calidad y una consultora de ingeniería para enfocar el problema de la calidad? Puedo decirlo con conocimiento de causa porque soy ingeniero consultor y tengo formación como Auditor IRCA-ISO 9001. El certificador de calidad está formado y de hecho rinde exámenes para verificar que cada procedimiento de gestión de la empresa auditada se adecua a los lineamientos indicados en la Norma en su última revisión. Es decir, auditan procesos, no productos. Engañosamente se puede ver en las cajas de productos farmacéuticos un sello que dice que está conforme a la Norma ISO 9001. Sin embargo, cuando uno comienza a investigar en detalle, resulta que lo que tiene el sello ISO 9001 es el “proceso” con el que se fabrican los envases de cartón. En el mejor de los casos, lo certificado es el proceso de producción del medicamento, pero no así las aptitudes del medicamento en sí. Los ingenieros consultores, cuando encaramos auditorías de calidad sobre una construcción, debemos tener en nuestra visión la aplicación de los conceptos de la Norma ISO 9001 para lograr un producto final, es decir una obra, que responda a la condición para la cual fue pensada, prestigiando y balanceando cuestiones de diseño, de seguridad, de construcción, de operación y de posibilidades de realización. Ese criterio ingenieril, es lo que nos separa y nos diferencia positivamente respecto a los certificadores de calidad. Desde hace aproximadamente 20 años, diversas certificadoras de calidad se han instalado en nuestro país ofreciendo y desarrollando su mercado de certificación de sistemas de gestión de calidad para empresas. Comenzaron por las empresas automotrices, siguieron por las empresas industriales proveedoras de las automotrices, luego por otras empresas industriales en general, luego pasaron a los servicios, bancos, aseguradoras, hasta arribar finalmente a las empresas de construcción. En todos los casos el Certificado ISO 9001 concedido a una empresa, certifica que los procedimientos encadenados que emplea la organización para gestionar la calidad, están dentro de los lineamientos de la Norma. Nada dicen acerca de las aptitudes funcionales de los productos o servicios generados por esas organizaciones. Últimamente, distintos clientes privados y fundamentalmente públicos, obnubilados por la palabra calidad, amantes de lo foráneo y poco informados de la verdadera función de las certificadoras de calidad, encomiendan a estas empresas tareas de control de obras de ingeniería propias de la dirección de obra que es incumbencia indelegable de los ingenieros. De hecho, las dos últimas centrales térmicas que están en construcción, fueron encomendadas a empresas certificadoras internacionales, no a empresas de consultoría, para las cuales la calidad es solamente una parte de la dirección de la obra. La dirección y gerenciamiento de una obra de ingeniería o incluso de una obra de arquitectura de la magnitud del Edificio Corporativo de YPF, es incumbencia indelegable de los ingenieros y de empresas de consultoría en ingeniería. Pero, dado el avance de las técnicas de control y gestión, no es posible hoy, dirigir una obra compleja sin formación respecto a métodos de administración de proyectos, formación en costos y estándares de obra, formación en auditoría de sistemas de gestión de calidad, en auditoría medioambiental, en auditorías de seguridad y en sustentabilidad. Ante este avance de las empresas de certificación sobre el mercado de la ingeniería, se imponen acciones meditadas, coordinadas y efectivas para defender nuestro mercado y acciones de las universidades para aggiornar los planes de estudio de los nuevos ingenieros, de tal manera de prepararlos para abordar adecuadamente la dirección e inspección de obras y en particular el nuevo paradigma de la calidad en la construcción. 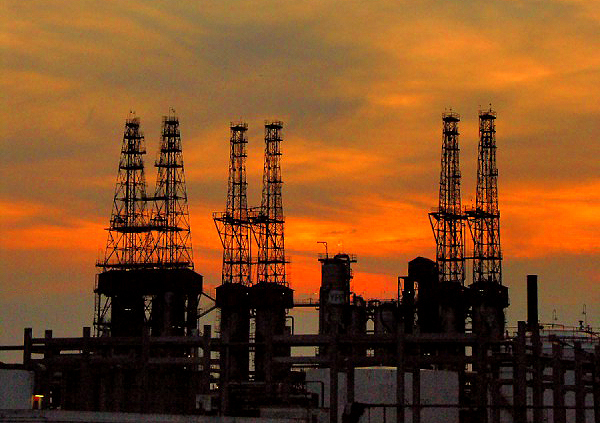 Ensenada Industrial Complex is one of the most important petrochemical industrial complexes in Argentina. Its productive structure has numerous Processing Units. Their control was being done in Control Rooms distributed in the Plant’s heart. Repsol YPF, as the current plant operator, on a permanent Risk Assessment decided to update the safety conditions within the plant, focusing control in a Bunkerized Control Room to achieve a proper and orderly shut down in case of high power explosions. For this important project REPSOL YPF trusted COINTEC with field studies, the complementary basic design, the multidisciplinary general detail design, specially the anti-blast design, the preparation of the bidding documents and the assessment during the construction of this important Control Room design with the most modern transmission, control and remote data visualization technologies. Expansion Works – Fiscal Oilfields and Coal Deposits and General Mosconi Petrochemical Plant. EXPANSION WORKS IN ARGENTINA’S MAIN PETROCHEMICAL PLANTS AND DESTILLERIES. The country’s power development in the petrochemical field, driven in recent years through an openness policy, has taken several state and private companies to achieve longed projects. COINTEC has participated in the past few years in several executive projects, most of which correspond to expansions in the main petrochemical plants and destilleries in the country. Remodeling and Expansion of Different Units. Since the increase in gas reserves has substantially modified the way we use fuel, it became necessary to develop projects to increase the conversion capacity of La Plata and Luján de Cuyo Destilleries. National and foreign companies required COINTEC’s qualified services for these projects, which included not only new process and service units but also the remodeling and adjusting of the existing ones. COINTEC, depending on the case, developed executive engineering, technical assistance and inspection in-site or in-factory. Compressor Buildings J 701/702/703, J1110 and J1111. This Light fuel Dispatch Unit provides Buenos Aires City and the southern area of Buenos Aires Province with “nafta” (oil Am. – Petrol Br.). COINTEC intervened by remodeling and expanding the Central Loading Area and through the selection of pumps, fire fighting system and civil works. YPF faced the modification and extension of its Terminal Dock Sud to adapt the docks – in which propane gas was loaded – in order to load also liquid fuels such as gasoil and “nafta” (Br petrol – Am gas). COINTEC was in charge of the modification of the entire loading system, the expansion of the fire fighting system, the design of a new Transformer Substation to supply the dock of power, the improvement and extension of the lightning system, the loading and downloading remote control and operation room. III. FLAMMABLE DOCK – BERISSO – ENSENADA. With the privatization of YPF, loading and downloading of hydrocarbons have grown notoriously in the Flammable Dock of Berisso – Ensenada, which is the only river outlet of La Plata Refinery. For this reason, YPF conceived a plan to minimize the possibility of risks in harbour operations. YPF hired COINTEC to prepare the Project and the bidding conditions for the work. • General Topographic Survey of the Harbour and its docks. • Sizing and civil and electromechanical design of the harbour’s water intake system and its pump house. • Design of the new fire fighting system and its remote commanded monitors. • Preparation of Bidding Documents. La Plata Destillery – Turboblower Installation for F.C.C.U. 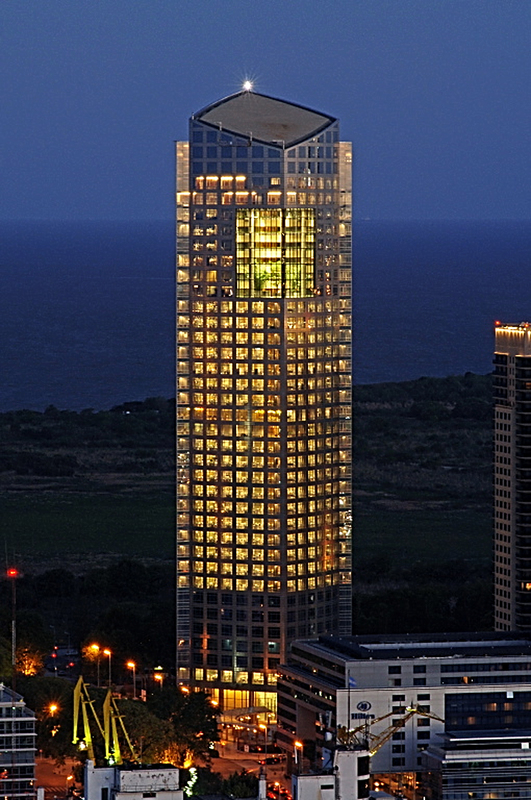 Refurbished Tower Nº 181 Expansion. PETROCHEMICAL PLANT GENERAL MOSCONI constitutes one of the most important mixed petrochemical plants in the country, dedicated to elaboration from raw materials supplied by YPF. The plant is geographically located in Ensenada, Buenos Aires Province. COINTEC’s participation focused on executive engineering and technical assistance in work site. Coal purifying Plant and “Vuelcavagonetas” Building. Río Turbio Deposits, located in Santa Cruz province, constitute the most important deposit in Argentina. COINTEC developed executive engineering for Purifying Plant and “Vuelcavagonetas” Building projects. Trabajos de Ampliación – Yacimientos Petrolíferos y Carboníferos Fiscales y Petroquímica General Mosconi. El desarrollo energético del país en el campo petroquímico, impulsado en los últimos años a través de una política aperturista, ha llevado a distintas empresas tanto estatales como privadas a encarar la concreción de proyectos largamente anhelados. COINTEC ha participado en los últimos años en varios proyectos ejecutivos, la mayoría de los cuales corresponden a ampliaciones en las principales petroquímicas y destilerías del país. Remodelación y ampliación de distintas unidades. El aumento de reservas gasíferas ha modificado sustancialmente el esquema de utilización de combustibles, siendo necesario encarar los proyectos de aumento de la capacidad de conversión de las Destilerías de La Plata y Luján de Cuyo. Estos proyectos que incluyen nuevas unidades de procesos y de servicios como así también adecuación y remodelación de unidades existentes, han sido encarados por empresas nacionales y extranjeras en forma mancomunada, las cuales requirieron de los calificados servicios de COINTEC. COINTEC, según los casos, desarrolló ingeniería ejecutiva, asistencia técnica e inspección en obra o en fábrica. Edificios de Compresores J 701/702/703, J1110 y J1111. Planta de Carga de Combustibles. Esta unidad de despacho de Combustibles Livianos está destinada a la provisión de naftas para el consumo de Capital Federal y el Gran Buenos Aires, Zona Sur. YPF encaró la modificación y ampliación de su Terminal Dock Sud para adecuar los muelles – en los cuales se cargaba gas propano – para la carga de combustibles líquidos tales como gas oil y naftas. COINTEC tuvo a su cargo la modificación de todo el sistema de carga de producto lo cual incluyó la selección de bombas, ampliación de sistemas de lucha contra incendio, el diseño de una nueva Subestación transformadora para alimentar al muelle, la mejora y ampliación del sistema de iluminación, la sala de telecontrol y telecomando de las operaciones de carga y descarga. III. DÁRSENA DE INFLAMABLES – BERISSO – ENSENADA. Con la privatización de YPF creció notoriamente la carga y descarga de hidrocarburos en la Dársena de Inflamables de Berisso – Ensenada, única salida fluvial de la Destilería La Plata, por lo que YPF encaró un plan para limitar las posibilidades de riesgo en las operaciones portuarias. COINTEC fue contratado por YPF para preparar el proyecto y los pliegos licitatorios de esta obra. Relevamiento topográfico general del Puerto y sus dársenas. Dimensionamiento y diseño civil y electromecánico del sistema de toma de agua de puerto y su casa de bombas. Diseño del nuevo sistema de incendio con monitores telecomandados. Destilería La Plata – Instalación Turbo Soplante para F.C.C.U. Ampliación Torre de Reformado Nº 181. PETROQUIMICA GENERAL MOSCONI constituye una de las principales plantas petroquímicas mixtas del país, básicamente dedicada a la elaboración a partir de materia prima suministrada por YPF. Se ubica geográficamente en el polo petroquímico de Ensenada Pcia. de Buenos Aires. La participación de COINTEC se centralizó en la realización de ingeniería ejecutiva y la asistencia técnica en obra. El yacimiento de Río Turbio, ubicado en la provincia de Santa Cruz, constituye el yacimiento más importante de la República Argentina. Munster Lake Aqueduct – Comodoro Rivadavia – Pumping and Anti-waterhammer Stations. Comodoro Rivadavia is an important Argentine southern city and the capital of petrol exploitation in Patagonia. Located on the parallel 46 º South latitude and on the coastline, has no nearby sources of potable water supply. For this reason it was necessary the construction of an Aqueduct from Munster Lake, located approximately 100 km. towards the West. COINTEC collaborated with the Aqueduct executive project, being in charge of detailed engineering of Pumping and Anti-waterhammer Stations. COINTEC collaborated also with the development of executive engineering and technical assistance during the construction of the Neutralization System in the Demineralizer Plant Expansion in La Plata Distillery of Fiscal Oil Fields. Acueducto Lago Munster – Comodoro Rivadavia – Estaciones de Bombeo y de la Estación Antiariete. Comodoro Rivadavia es una importante ciudad del Sur Argentino y capital de la explotación petrolera patagónica. Situada sobre el paralelo 46º de Latitud Sur y ubicada sobre el litoral marítimo, no dispone de fuentes cercanas de provisión de agua potable. Es por esta razón que fue necesaria la construcción de un Acueducto desde el Lago Muster, ubicado a aproximadamente 100 Km. hacia el Oeste. COINTEC colaboró en el proyecto ejecutivo de dicho Acueducto, teniendo a su cargo la ingeniería de detalle de las Estaciones de Bombeo y de la Estación Antiariete. Asimismo COINTEC ha colaborado en el desarrollo de la ingeniería ejecutiva y la asistencia técnica durante la construcción del Sistema de Neutralización en la Ampliación de la Planta Desmineralizadora de la Destilería La Plata de Yacimientos Petrolíferos Fiscales.